I have some free odd and even posters for you today! One of my fabulous teacher friends (⇠That’s you Jean) and I were talking the other day about purging things. We LOVE to do it! We toss and give away things without blinking an eye. Change is good. We’re either easily bored, or super creative and need constant new stimuli. I like the latter suggestion best – but it could just as easily be the first! Either way – we are FABULOUS at getting rid of things. And changing things. As I closed out the school year I was looking in every single nook and cranny for things I wanted to change. 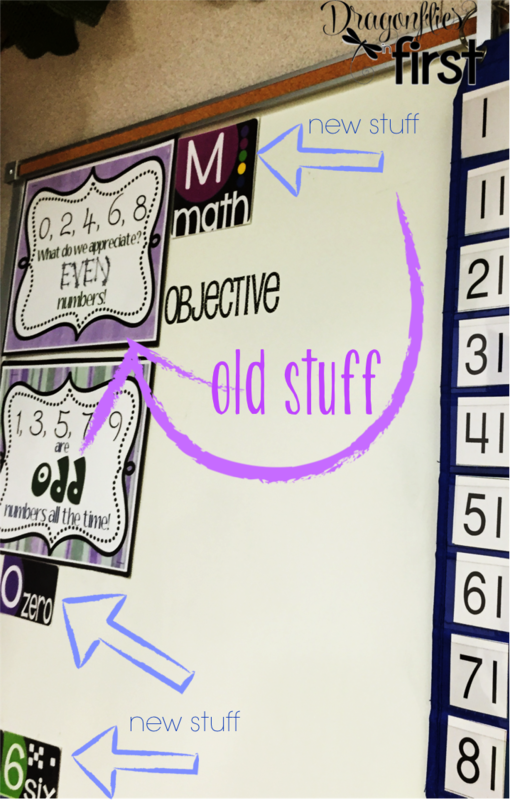 As I said in my previous post, I made some big changes in my labeling, focus wall and calendar things. When putting up all of that new stuff… I found a little nook that needed a change. There I was putting up new labels next to old posters. “Well that’s gotta go!” is all that entered my mind. Here are my new odd and even posters. They go well with my new classroom essentials labels. I kinda love them. Well as much as you can love 2 pieces of paper. These odd and even posters (in all of the color combinations shown) are in one downloadable FREEBIE in my store. Don’t forget to follow my store & leave some feedback LOVE while you’re there! THANK YOU!! I like those. Thank you! I love all the options, I'm not sure I can choose!